New cartoon on the SCDigest web site on Monday, April 26, 2010. "Every time we download orders, he just stuffs them in his cheeks and won't release them." "Hurry up and get approval for a replacement... our last spare died on Tuesday." 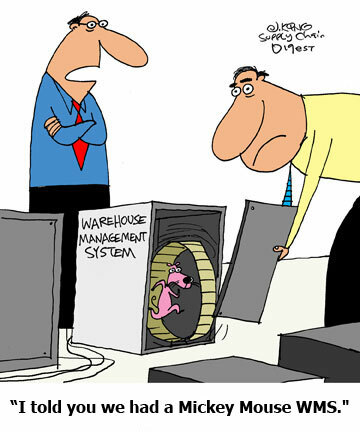 "It's still better than any of the ERP WMS modules we've seen." "He looks tired...Now we know where that 'timeout exception' is coming from."